Magento have implemented Fedex Web Services in the 1.6 release. Up until this release they were using the Fedex ‘DC’ API which is due to be retired in early 2012. So what’s the impact on you? SOAP is a protocol used by web services to communicate. It runs over http and in this instance is used as the communication mechanism between Magento and Fedex. 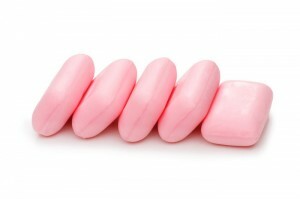 SOAP is often installed on a web server by default, if in doubt ask your hosting provider. I wrote a blog around installation for those doing themselves. How do I get a Fedex Web Service Login? Being constrained to only show residential or commercial rates can cause problems. Residential rates tend to be more expensive, so you may lose sales if you set to this. Plus showing Home Delivery is not great when dealing with commercial customers, they may get confused. 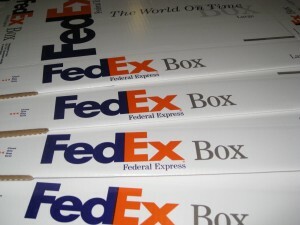 We offer a couple of extensions in this space which can assist you with your Fedex rate management. 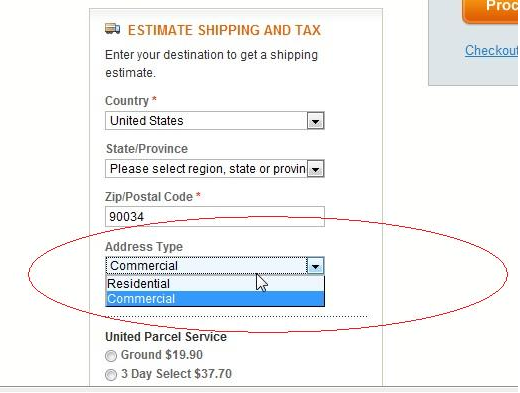 The Residential Selector extension will show a residential/commercial dropdown on the cart shipping quote and during account/address setup, thus allowing your customers to select their address type. Both extensions also have our fantastic logging capability which allows you to see whats going on under the hood. So if you get no rates back from Fedex you can see why, and not just see the evil red error message! This entry was posted on Thursday, August 25th, 2011 at 2:14 am	and is filed under Shipping in Magento. You can follow any responses to this entry through the RSS 2.0 feed. You can skip to the end and leave a response. Pinging is currently not allowed. It appears the 1.6 integration will only support 8.5×11 1/2 page laser labels (no thermal for serious shippers). We have yet to get it working, the error always returns “Recipient Postal-State Mismatch” no matter what valid address is submitted. FedEX support is telling us that the, now hard-coded, gateway URL’s may not be correct causing this problem. We are going to abandon trying to get it working and continue with a 3rd party shipping addon as in 1.5. 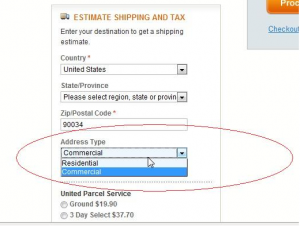 Sorry to ask a random question here, but really need help – I am using Magento 1.5 Community, and have UPS and Fedex accounts, when setup in Magento I am seeing negotiated rates instead of published rates. I have looked everywhere and cannot find the solution. Please help if you can. Thank you for the advanced warning, and the two solutions presented. We have had the opportunity to work with both modules. Thanks for the tip – you saved me a lot of time figuring out why my FedEx rates weren’t showing up. Awesome extension – thanks for doing this, and for making it free. Will come in very useful in the interim period before we upgrade to 1.6+. Very easy to install, and works right out of the box alongside existing Magento FedEx extension and FedEx ShipSync (in case you have those installed). 1. This extension, like the default FedEx extension in Magento 1.4.1.1 (and possibly others), returns rates for weights in lbs, regardless of what you use in Magento. There is no switch to tell it if you’re using lbs or kgs. As such, if you use kgs and put through a cart with a weight of 10kgs, it will return the price for 4.5kgs (roughly equivalent to 10lbs – see next point). 2. The way that the rate is delivered via web services seems to be rounded differently at some point compared to fedex.com. For example if you put a cart with a weight of exactly 10 lbs (actually kgs – see above), then the rate is returned for 4.5kgs. 1 lb = 0.45359237 kg so 10 lbs should be 4.53kgs. However, requesting a rate for 4.53 kgs on fedex.com is marginally different to the returned rate on Magento, which exactly matches 4.5kgs. Therefore, I would guess that either Magento or FedEx webservices is rounding 4.53kgs down to 4.5kgs, while fedex.com is giving a rate for 4.53kgs exactly. Therefore the price the customers pay and the price FedEx charge you will not be the same.